This fully updated Second Edition provides the reader with the solid understanding of tribology which is essential to engineers involved in the design of, and ensuring the reliability of, machine parts and systems. 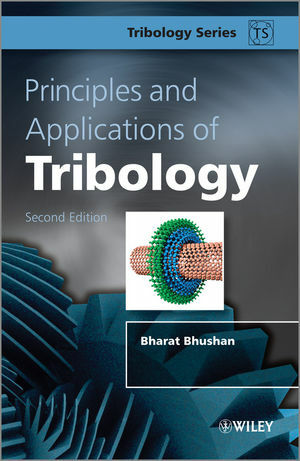 It moves from basic theory to practice, examining tribology from the integrated viewpoint of mechanical engineering, mechanics, and materials science. It offers detailed coverage of the mechanisms of material wear, friction, and all of the major lubrication techniques - liquids, solids, and gases - and examines a wide range of both traditional and state-of-the-art applications. For this edition, the author has included updates on friction, wear and lubrication, as well as completely revised material including the latest breakthroughs in tribology at the nano- and micro- level and a revised introduction to nanotechnology. Also included is a new chapter on the emerging field of green tribology and biomimetics. Dr Bhushan is Ohio Eminent Scholar and The Howard D. Winbigler Professor as well as Director of the Nanoprobe Laboratory for Bio- & Nanotechnology and Biomimetics at The Ohio State University. During his career he has received a number of awards and accolades as well as being central to teaching and formulating the curriculum in Tribology-related topics. He is a Fellow and Life Member of American Society of Mechanical Engineers, Society of Tribologists and Lubrication Engineers, Institute of Electrical and Electronics Engineers, as well as various other professional societies.